Our Camden County employment lawyers represent employees in all areas of employment law throughout the state of New Jersey. The Camden County sexual harassment lawyers of Smith Eibeler represent residents and individuals who work in Camden County in claims of unlawful termination, Sexual Harassment, discrimination, Disability Discrimination, pregnancy discrimination, severance agreements, equal pay violations, Unemployment Appeals and wage and hour violations. Our law firm is located in Central New Jersey at the Bell Works building in Holmdel, New Jersey. Camden County is located in southwestern New Jersey and is bordered by the counties of Burlington, Gloucester, and Atlantic Counties. Camden County stretches from Pennsauken in the north, Gloucester City in the west, Winslow in the south, and Waterford in the east. The county is bordered to the west by Pennsylvania. Camden County has an area of 227.293 square miles, including 6.030 square miles of water. The County Park System is made up of 16 parks and includes Berlin Park, Haddon Lake Park, New Camden Park, Wiggins Waterfront Park, and Timber Creek Park. According to Choose New Jersey, the largest employers in Camden County include Cooper Health System, American Water Works, Bancroft Brain Injury Services, Campbell Soup Company, Diocese of Camden New Jersey Inc, Kennedy University Hospital, Virtua-West Jersey Health System, Our Lady of Lourdes Medical Center Inc, Global Aluminum, and Lockheed Martin. Camden County is home to a wide range of entertainment opportunities. It contains entertainment venues such as the Ritz Theater, Symphony in C, Perkins Center for the Arts, and The Scottish Rite Auditorium. Restaurants in the county include Benihana, Hugo’s Frog Bar & Chop House, R&D, and Wm. Mulherin’s Sons. The school system of Camden County contains both private and public schools, as well as institutions of higher education. Some of the best public high schools in the county include Haddonfield Memorial High School, Cherry Hill High School East, Eastern Regional High School, Collingswood High School, Triton Regional High School, and Timber Creek Regional High School. Private schools include Bishop Eustace Preparatory School, Gloucester Catholic Junior Senior High School, The King’s Christian School, Camden Catholic High School, and Baptist Regional School. Institutions of higher education in the county include Rutgers University-Camden, Rutgers School of Law-Camden, Rowan University School of Osteopathic Medicine, the Cooper Medical School of Rowan University, Rutgers Biomedical and Health Sciences, Rowan University at Camden, and Camden County College. Camden County was established in November of 1844. According to the 2010 Census, it is now home to more than 513,657 people, with 129,866 families. The median age is 37.9, and the median income for a household in the county was $48,097 in 2000. Notable residents or former residents of Camden County include Walt Whitman, Andrew Clements, Tasha Smith, Kellyanne Conway, Dexter Darden, and Brandon Jones. 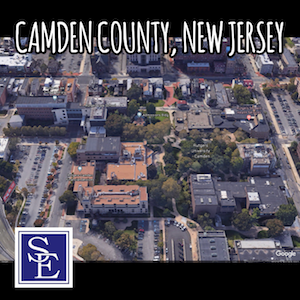 The Superior Court for Camden County is located at 101 S 5th Street, Camden, New Jersey. Our New Jersey employment lawyers can file a lawsuit and have it properly venued in Camden County if one of the parties lives in Camden County or if the employer regularly conducts business within Camden County. Should you or a family member have an employment related legal issue and are in need of a Camden County employment lawyer, please call our office today to discuss the facts and circumstances of your employment related legal issue.